Maggie and Stella’s new home on Fifth Ave. 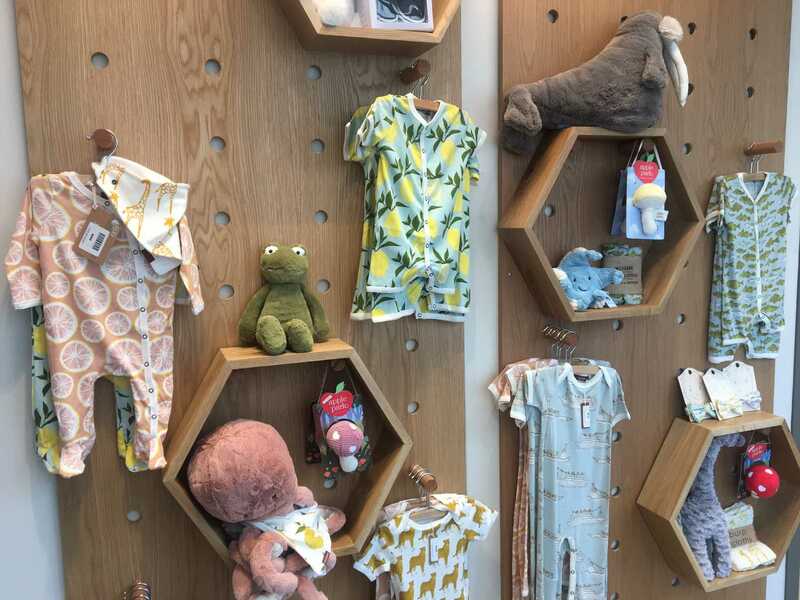 When Amazon came to visit Pittsburgh, its representatives took a tour of Oakland and were impressed with the location of one little gift and card shop in particular — Maggie and Stella’s. The shop recently reopened Aug. 13 on Fifth Avenue in place of the Oakland Bakery and Market, months after an Amazon campus pick-up location moved into its former space on Oakland Avenue. Monica Rattigan, the director of University stores at Pitt, said in an email that Amazon’s excitement about the store was one of the main reasons it moved. “When we had the opportunity to bring Amazon to Oakland, they really liked the Maggie and Stella’s space. So we began looking for a new location for Maggie and Stella’s,” Rattigan said. Inside its new location, Maggie and Stella’s is divided into different sections of gifts and novelty items. There is a table dedicated to Pittsburgh merchandise, including a shirt listing the City’s most famous bridges and another table covered from end to end with candles. In the corner that once featured a display of donuts is now a collection of children’s toys and books. Rattigan explained that the Oakland Bakery left its Fifth Avenue location so that it could be incorporated into the grocery store coming to Forbes Avenue. She said because the University is taking its time with the grocery store, Maggie and Stella’s opened before it. Meagan Sotirokos, the manager and buyer for Maggie and Stella’s, has worked at the store for five years. She said it was her intention to divide the new location into distinct sections. The store itself has been a part of the Oakland community for the past 13 years. Even the name carries a historical significance at Pitt. “Maggie and Stella’s” comes from the names of the first two female students that ever attended Pitt, then known as the Western University of Pennsylvania — Margaret and Stella Stein. The sisters went on to graduate from the University with master’s degrees in 1901. “The chancellor at the time thought that it would be a good idea if two sisters come to the school together so they could take care of each other,” Sotirokos said. Sotirokos had a lot of time to plan between summer 2017 and the store’s opening at its new location three weeks ago. Multiple dates were chosen then changed before they decided on an August reopening date, she said. “Eventually we landed on an August opening so that it’d be ready for back-to-school and it’d be brand new to campus and the freshmen and it’d be a great start to fall,” Sotirokos said. The new location, paired with the timing of its reopening, has attracted far more student interest than before.